Jim Morrison is a pop culture legend known as much for his controversial actions as for his music and poetry. This classic vector image captures The Doors front man in his prime. Download this free graphic portrait for your fan wallpapers and pinups or classic rock themed websites and music blogs. 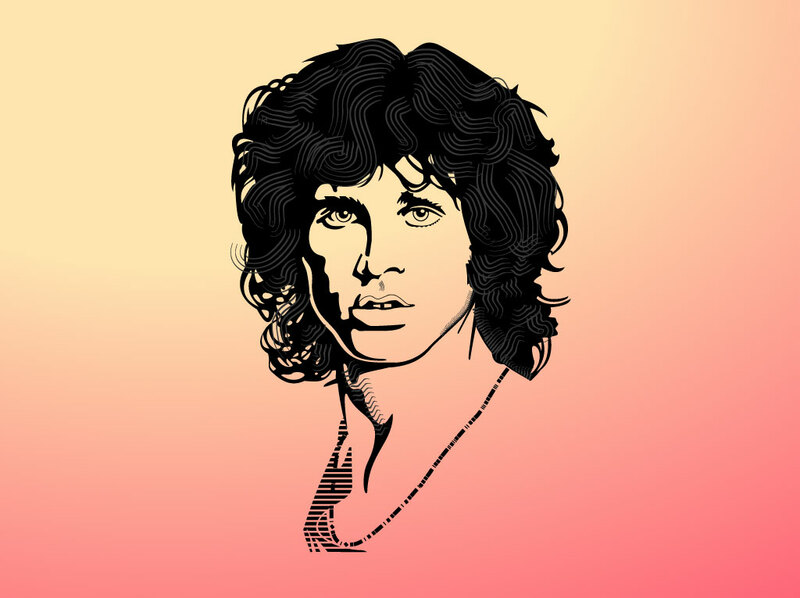 Tags: Hero, Idol, Jim Morrison Vector, La, Music, Rock, Sixties, The Doors.